National Cat Day, the day intends to raise awareness about the number of homeless suffering cats that need care and homes. The day also encourages cat lovers to celebrate the day with their cats with unconditional love and companionship. 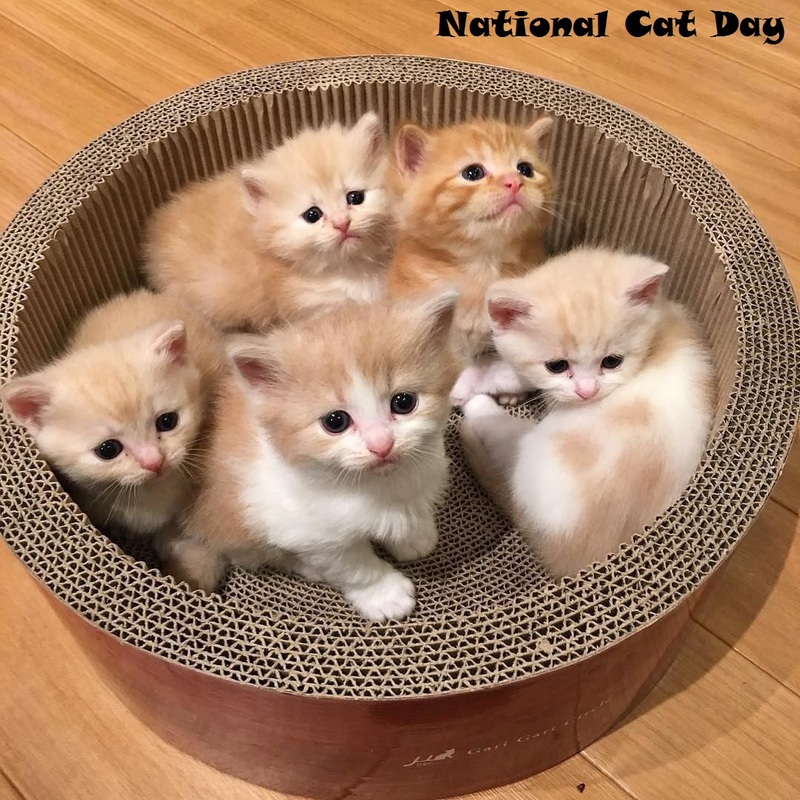 Cat Day was first formed in 2005 by Colleen Paige, a strong animal welfare supporter, in order to raise awareness about the plights of the domestic cats. After that Cat Day was adopted by the American Society for the Prevention of Cruelty to Animals, an organization also centered on getting people to adopt pets. They work hard to bring awareness about the number of animals that have to be rescued each year, and the increasing problem and possible solutions to feral cat colonies. 1. Adopt a cat from your cat rescue or local shelter.